I often see Abby Asistio in events and have been wanting to approach her and commend her for being so confident and brave despite going through Alopecia. As early as the age of four, Abby already knew what it was like to be without hair. She's diagnosed with alopecia areata, a condition that causes patches of hair loss around the body. Having endured her entire growing up years wearing an uncomfortable hat, she has tried other hair loss remedies, one of which involved chemical-based products that resulted to negative side effects. Abby then decided there was no more hiding. In September 2012, she took her stand and embraced her baldness. Together with her good friend Jing Monis, she shaved her head and began with an Alopecia Areata Awareness Month Instagram campaign in which she invited friends and family to pose with a double "A" sign using their fingers. The campaign grew to success and to date has over a thousand photos. A few days after, she did a coming out concert where she performed bald in public for the very first time. When Nutramedica Inc. (Novuhair's manufacturer) learned of Abby's courage, they approached her through Genesis Entertainment and offered to help Abby in her predicament. March 2013, Abby started using Novuhair and she has experienced remarkable results. 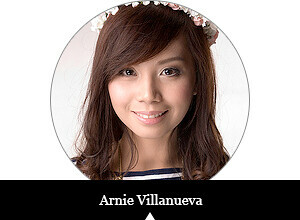 "The strands of my hair felt thicker and more healthy-looking. My scalp is clearly nourished and invigorated. 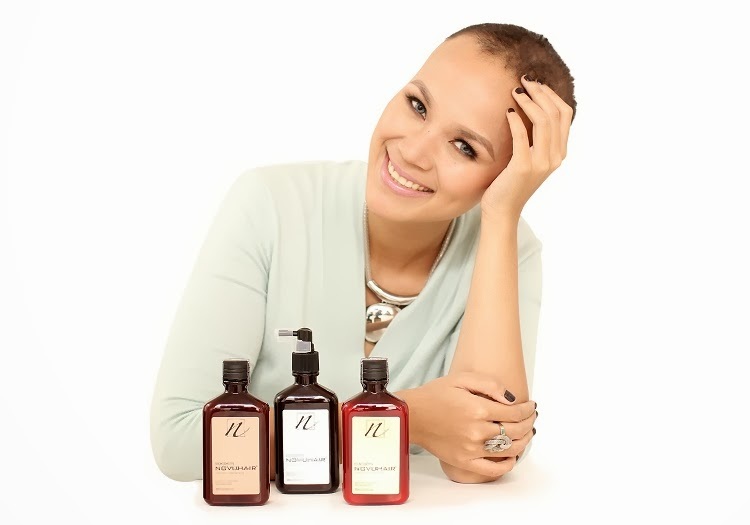 When it comes to hair growth, nature is on my side with Novuhair," says Abby. 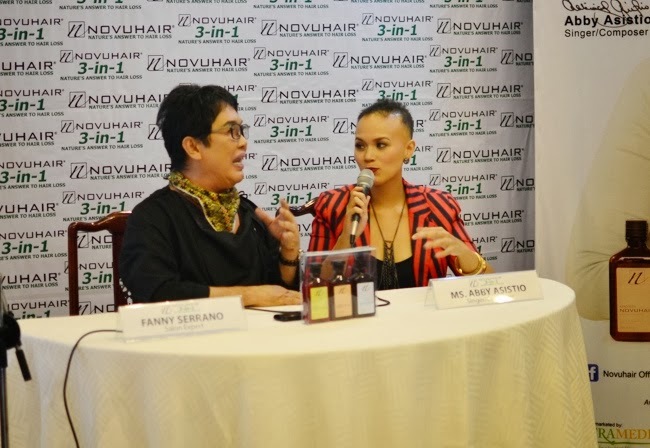 Congratulations for this partnership, Abby Asistio and Novuhair!